Find our Community Open House Table located on the show floor in the Learn zone. We’re planning on spending most of our time here, to answer your questions and hear your feedback. Let’s Build Together at our Lego Building Block Table – join us for a fun way to decompress after learning in the various sessions. Help us ‘build’ and possibly earn prizes too! Tuesday at 16:00 – Who can build the tallest tower? Wednesday at 14:00 – Who can build the biggest bug-destroying creature? Thursday at 15:30 – Who can build the coolest home? SAP TechEd Live Studio – Two recording will be taped on Thursday, November 9 so even if you are not attending SAP TechEd in person, you can watch these interviews streaming online on the SAP Community homepage or on the SAP TechEd Online website. Spot our Top Contributors as those present will be featured during Demo Jam so be sure to catch your favorite community supporters on the big screen and then around at the event. Check out our Empathy Event November 10 at 19:00 which is free and open to all but registration is filling fast. 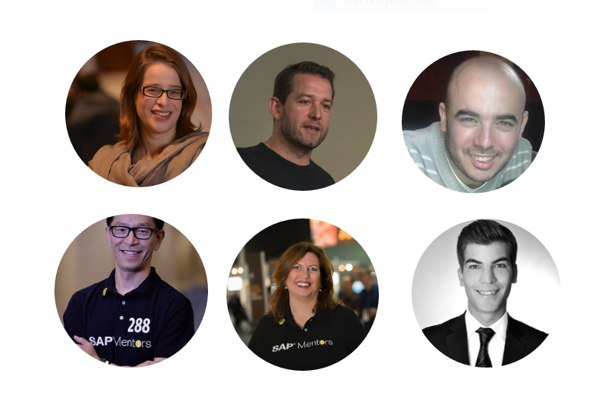 Be sure to be on the lookout for our onsite team (pictured here) representing Community and SAP Mentors – look for a lime green / blue SAP Community shirt as seen below or a Mentor shirt of course 🙂 and come say hi! I am not sure why after paying €2590, I would spend time at the SCN booth instead of attending lectures or hands-on. I had a lot of hope when the new SCN was announced and then launched 4 week ago. What I see today is lots of white space, a broken community fabric and a portal no different from blog.saphana.com. We really need to make this the vibrant community I have know since ages. This should not become another portal for SAP exec to markets software. SCN was build using community generated content and that is what it needs to become again. Lets use Twitter hashtag #LetsmakeSCNgreatAgain to generate idea.. I think you present a false dichotomy. I had a very full schedule, but still found the time to drop by and say hi a few times – and to discuss the issues. I have no doubt that the team behind SCN is working hard on the community. They grew up (figure of speech) in this community, they know what it means to be part of a community and what it feels like so I’m convinced they are doing a lot of hard work on getting issues resolved. For one, you seem to care, otherwise you wouldn’t comment so caring would be a reason why you would pass by their booth. The formatting / look & feel of the new community. I personally prefer the feeling of being on the new SCN platform to the old SCN (taste differs apparently). Not stating there aren’t any issues but those are more feature/function issues imho and for me not a reason to say the community isn’t awesome. The community is one of a kind if you ask me, the platform (technical stuff) might have issues at this moment, yes that would be true. The fact that the look & feel is the same as other web entities of SAP. I don’t see the problem of that, it’s corporate branding after all, SAP owns SCN. SCN being used for execs to market software. That’s a more touchy subject where I can get why you would have problems with this. For me it’s fine as long as it’s knowledge sharing, like Sven Denecken sharing around S/4 HANA. I find that those posts can provide added value. What I dislike are pure marketing posts stating how awesome something is, without really adding value (the kool aid kind of posts I guess). You can take action today if you feel the community isn’t great and help improve it. I have been a member of SDN and SCN since 2004 so I do have a long relationship with the community. 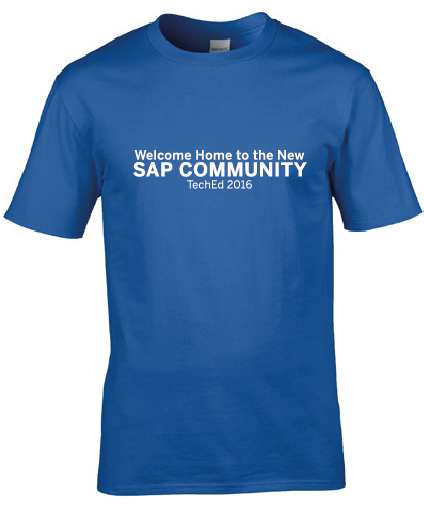 I have been working a lot on building SAP communities within my organisation as I feel there is tremendous value similar to SCN. I am a leading community leader and know what it take to make a community work and what impacts new tools have on community users and contributors. I was pleasantly surprised that a lot of content (read: Blogs, Q&As) was successfully migrated. Of course there were issues and some blogs did not display correctly and many wiki type posts (e.g. Notes-78333) did not get migrated but they are minor points. My disappointment was because I expect dramatic fixes (agile daily code drops) and did not see this happening. Maybe I was expecting too much but since SAP is now a cloud company I really expect daily code drops to make SCN better and better. My POV on not dropping by SCN booth was an “economic reason”, i.e cost associated at being at TechED and several important lectures & hand-ons to attend and unfortunately SCN did not find a time in the packed agenda. They and understand my PoV, it was an economics reason for not visiting the SCN booth (not emotional). The old SCN “space” did give a community feeling but in the new SCN this is somehow lost. If this is what the design thinkers though would be a great idea, I think it was a mistake. The new SCN has a lot of blank/empty space with just a few top blogs and Q&As and its not my idea of a community. If you disagree please publish the statistics on posts/ interactions on the old SCN Spaces (in Sep/Oct) vs the new SCN (Oct/Nov). I have used this for a month and half and have come to this conclusion that the interactions have reduced. I will be working to make this a vibrant community in my own small way. I hope you enjoyed the event and attended valuable lectures and hands on sessions Devraj. I also hope that next time, you do give community a chance and stop by. We did receive all kinds of feedback and found all of it very valuable. I have posted my feedback above (in reply to the comment from Tom Cenens). I completely agree you. I am yet not able to understand the benefits of new SCN. It took years to achieve a vast sum of knowledge now buried into archived content…. I just want you to know that it was a pleasure to me to meet you at the Community Open House and have great discussions how to extend the platform and also shift the community to the next level. You are doing a great job and the new platform will show what it is and what it can do soon. Looking forward. Thank you so much Florian! It was indeed great to meet up last week and I look forward to seeing you again soon and also with what is coming in community.